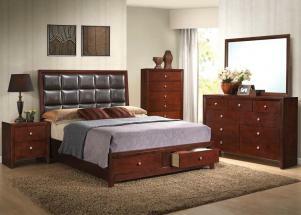 The Ilana bedroom collection is an impeccabe choice for your bedroom. All of this in a warm brown finish which reflects its classic style while the lines of the group show the modern sensibility of today’s living. 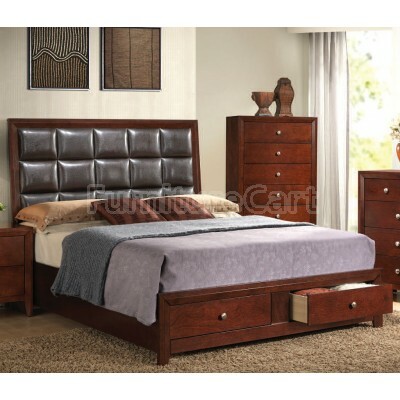 Combine it all with the upholstered headboard to lay back and relax with the handy storage footboard for the practical side of your personality.